Microsoft and Novartis are joining forces against multiple sclerosis (MS), the autoimmune disease that affects millions of people worldwide. Using Microsoft’s Kinect, they have developed a tool called Assess MS that can monitor and evaluate a patient’s movements to determine if the disease is progressing or not—quantifying a patient’s status has been a top challenge with MS. When Microsoft released the Kinect system for playing Xbox video games about five years ago, little did it know it would be parenting with a healthcare company. For years, Novartis has been trying to find more consistent ways to quantify whether the treatments it is developing for multiple sclerosis are working, but assessing whether a patient’s symptoms are stabilizing or getting worse is complicated. The possibility of using computer vision—the technology found in the Kinect system—was intriguing. 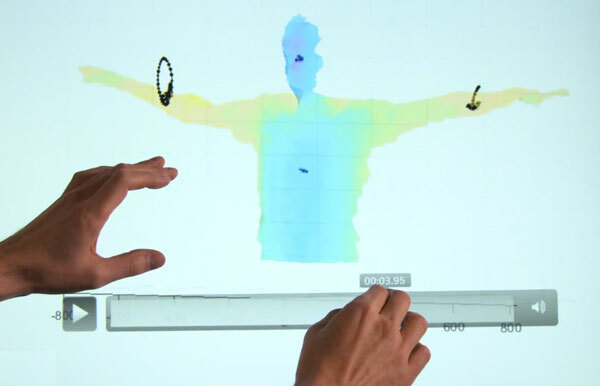 Using a tool like the Kinect, the researchers at Novartis aim to get a more consistent reading of how a patient performed on a set of standardized tests for MS patients, bringing a new level of uniformity that would help doctors better assess the progress of the disease. That, in turn, could speed up the process of getting the right treatments to patients. Assess MS uses the Kinect motion camera and machine learning software to track physical movements and repeat the same tests months apart. Neurology experts scored video clips to teach the software algorithm how to recognize degrees of impairment. Imprecise measurements also effect new drug trials and raise costs for pharmaceutical companies like Novartis. “The beauty of computers is they don’t get tired, can be used in different settings and use the same criteria—unlike neurologists,” said Paul Matthews, head of the brain sciences division at London’s Imperial College, in Bloomberg.